Hope the exhibit goes fantastically well. How fabulous! I love the piece behind her. How exciting - and a very talented friend. Wow. Congratulations to Rosemary. Lovely photo. Wonderful art. Wishing your friend lots of success! A lovely shot of Rosemary and her art. Congratulations with her exhibition and hope it will become a great succes. Lovely art and capture of Rosemary. @365projectorgjenfurj @jacqbb @kgolab @bella_ss @dide @jamibann @onewing @merrelyn @gijsje @sugarmuser @Dawn @pyrrhula @wendyfrost @jgpittenger Thankyou all for commenting on my friend & her painting. 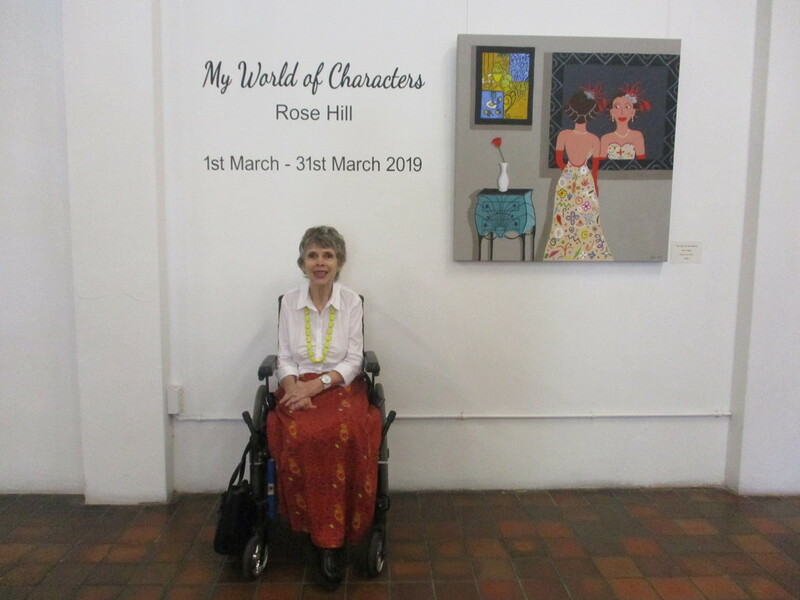 Well done Rosemary - it is always exciting having an exhibition. I do hope it was an enjoyable experience. Nicely composed painting and photo too.